Seriously! Thank you to the Netflix creator. Right, girls? 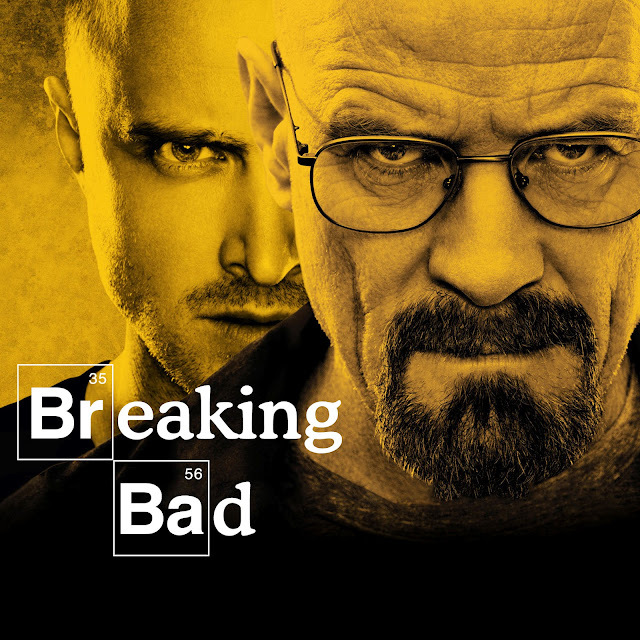 This is by far my favorite Netflix series EVER! I LOVED those Bravermans. I'm talking cried with them, cheered with them, and felt their pain. #iwantedtobeabraverman I got SO into all those story lines. 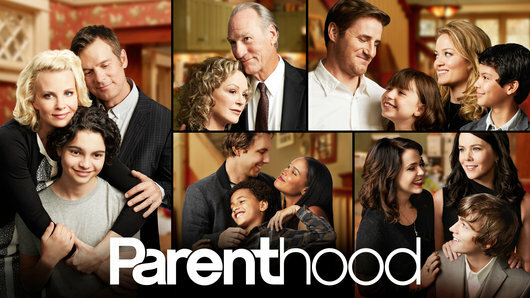 If you haven't watched Parenthood yet, STOP what you're doing and go watch. :) It's THAT good! I shared my love of Parenthood here. I started a two part series about Gilmore Girls but completely forgot about blogging the second part. #oops You can read part one here. I shared all kinds of thoughts about it here. This was SO good! I just would be too scared to watch on a deserted island so I didn't bring this one with me. :) Tab and I watched this series together and LOVED it! This show cannot compete with the others, but it's a series on Netflix so I'm including it. This show is ridiculous. I repeat. This show is ridiculous, but now I feel like I must push on until I finish. #iknowitsridiculous I read on Big Mama's blog that she was watching so I thought I'd give it a try. I'm telling you...it's ridiculous, but I'm hooked and will have to finish. I cannot WAIT to see what you guys will take! Join us next month when we share the THREE FAMOUS PEOPLE we'd take on the island with us. It'll be fun! Well, we should be on our deserted island together bc there would be no fighting over the random tv we apparently have!!! And yes, stick with Kimmy if only to see what random things Titus is doing!!! 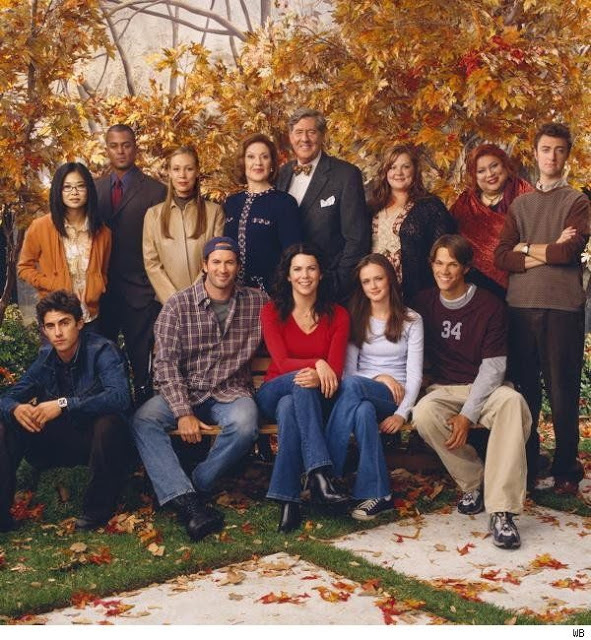 I get so giddy at the sound of Stars Hollow. ;) Love! If you like Friday Night Lights then you will love seeing Kyle Chandler in Bloodline!! Also we enjoy House of Cards and a Man in the High Castle! None of these are for children but I don't think you'll have them with you on this island!! Okay, love Parenthood! Great choice!! Now, is it strange that I lost interest in Friday Night Lights? I quit after four seasons? Is that weird? Also, I started both Kimmy and Dixie but I need to finish them! That Kimmy show was crazy weird and hysterical! My husband and I are 8 episodes into FNL right now and we love it! I cannot wait to finish it! Loved Hart of Dixie and wish it was still on and you MUST add One Tree Hill! I just deleted it. :). Computers can do crazy things. Girl, you need to watch! Yes!! It's a good one! Haha! Me too! The town just sounds cozy! Yes!! Why'd you quit Friday Night Lights?? Oh, I'll give it a try! Thank u!! Shay!!! Oh my gosh you have to finish FNL!!!! Oh Erika! Good choices! You've just made me want to watch Parenthood again! Parenthood and Friday Night Lights!!! I was borderline depressed when they ended. 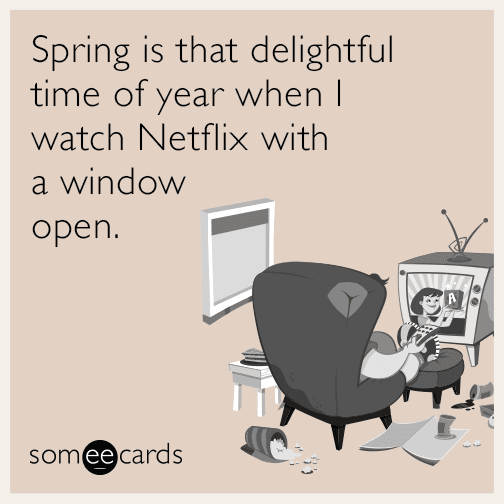 Especially Parenthood, I could watch over and over. Parenthood all.the.way!! And I'm intrigued by unbreakable....guess I need to watch! Thanks for hosting! Me too!! Let's watch together! You're three choices are the exact choices I had. Also, I don't know if you have the Uptv channel but Gossip Girl and Parenthood are being shown on that channel. It's a great channel for family friendly tv. Parenthood is one of the best shows to EVER be on TV. I miss it so much. I am currently watching Friday Night Lights! I love your blog! I would definitely do The West Wing, Gilmore Girls, and Friends! Parenthood for the win! I still miss that show! Now I feel like I have to watch Parenthood! :) This idea was so great and creative... 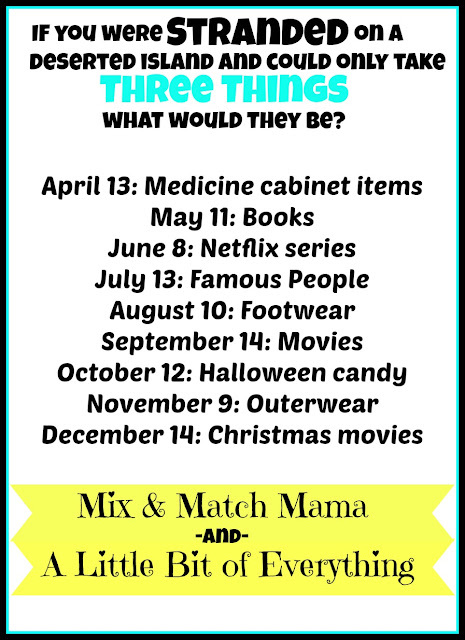 I laughed so hard creating my post and narrowing down choices! thanks for allowing me to be included! I'm obsessed with Hart of Dixie - hahaha. 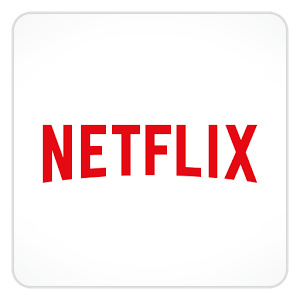 I just found it a month ago on netflix when I was sick in bed and had watched everything else. I've now watched the entire series 4 times through. My husband said he needs a break from Dr. Zoey Hart for a while, LOL. 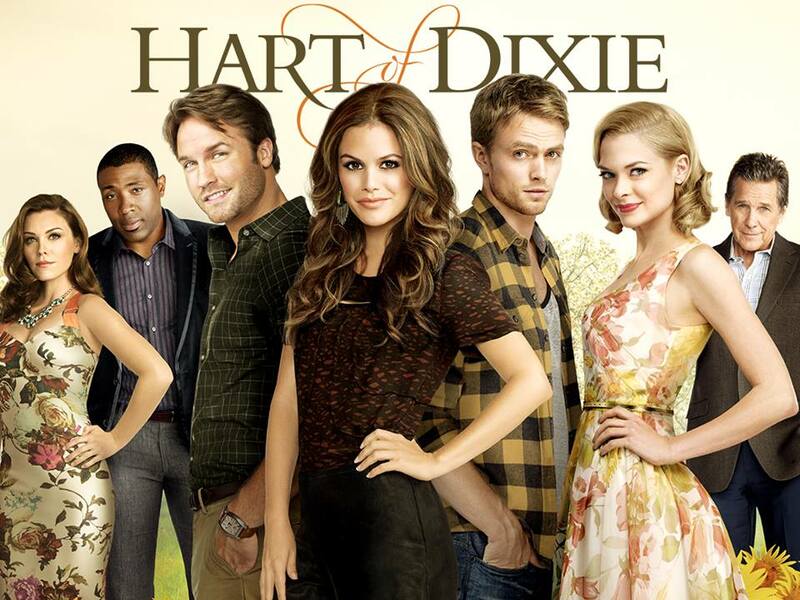 I loved Hart of Dixie and watched it on real tv. Was so sad when it ended. I didn't include Gilmore Girls or FNL, but LOVE both of them too. This list was just so hard. I'm obsessed with Hart of Dixie right now! Love that I can binge watch it! :) And I totally agree with Friday Night Lights and Parenthood. Your three favorites are my three favorites! I hated for them to end - so depressing! HA! I love all your picks!!! !